Apparently, one of the secret benefits of officially joining up with the Marvel Cinematic Universe is that you get to book a surprisingly solid cast for your next movie. Sure, The Amazing Spider-Man had people like Sally Field and Martin Sheen appearing alongside Spidey, but the upcoming Spider-Man: Homecoming is really stacking its roster with impressive talent. We know Michael Keaton is playing the bad guy, and other folks, like Donald Glover, Tony Revolori, Zendaya, Kenneth Choi, Logan Marshall-Green, and Martin Starr, will be popping up as well. And that’s without even mentioning Robert Downey Jr. and Marisa Tomei. 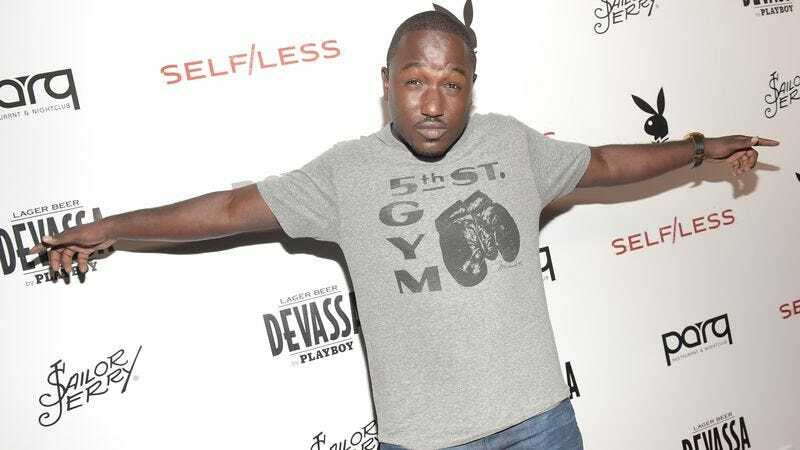 Now, Variety says that comedian Hannibal Buress has joined the cast, but like most of those people up above, we have no idea who he’ll be playing. If we had to guess, though, we’d say he’ll be playing a guy who tries to use Samsung Pay at Katz’s Deli while Tom Holland’s Spider-Man swings through and makes a quip of some kind. Spider-Man lives in New York, so it stands to reason that he’d visit Katz’s at some point, and that Samsung commercial makes it seem like Buress goes there all the time. They’d have to run into each other eventually.